​has a reputation for on time delivery and maintaining the highest quality possible on our products. ​WELCOME TO CAPS “BRITE HOT COATINGS”, THE WEST COAST’S PREMIERE CERMAKROME FACILITY. 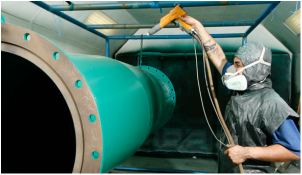 WE HAVE OVER 30 YEARS EXPERIENCE IN THE COATING BUSINESS. CAPS STARTED OUT IN THE COMMERCIAL SANDBLASTING, PAINTING & COATING INDUSTRY, AND TODAY HAS EVOLVED INTO A LEADER IN THE POWDER COATING INDUSTRY. FIVE YEARS AGO, WE ADDED THE HIGH TEMPERATURE PROCESS KNOWN AS CERMAKROME. 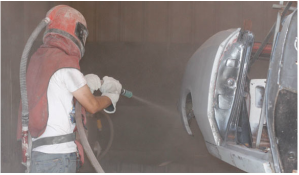 THIS PROCESS WAS ESTABLISHED TO BRING THE ADVANTAGES OF AEROSPACE COATING TECHNOLOGY TO THE AUTOMOTIVE AFTERMARKET. CAPS EXPERTISE WILL ASSIST YOU WITH YOUR CUSTOM CLASSIC CAR RESTORATION NEEDS. 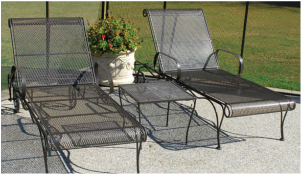 OUR COATINGS WILL NOT DISCOLOR, CRACK, CHIP, FADE OR BURN. THE COATING CAN WITHSTAND TEMPERATURES UP TO 1300F BASE METAL TEMPERATURE & 1600F EXHAUST GAS TEMPERATURE, MAKING IT IDEAL FOR HEADERS AND ANY OTHER ENGINE COMPONENT. CAPS PRIDES ITSELF ON HAVING THE HIGHEST QUALITY COATINGS IN THE INDUSTRY ALONG WITH THE BEST CUSTOMER SATISFACTION. If you can't find what you are looking for type it in the search box below.